Four Seasons Sunrooms is America’s largest sunroom company featuring THE premier line of energy efficient sunrooms and enclosures. 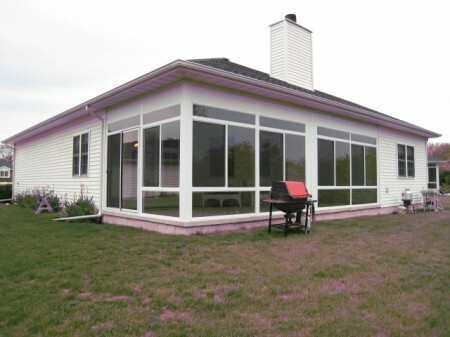 If you are looking for a comfortable, elegant and energy efficient sunroom, you’ve come to the right place. 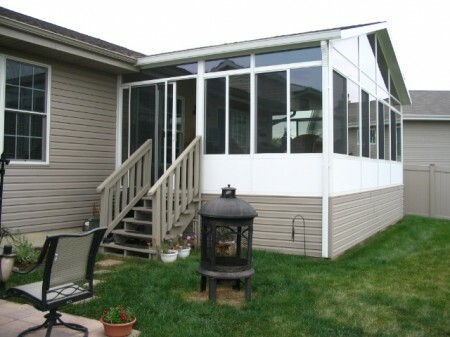 Each sunroom design comes in a variety of sizes, roof and frame finishes, door choices and many other features. Why settle for an ordinary room when you can own an extraordinary Four Seasons Sunroom? Whatever the use, we can design an energy efficient space to match your lifestyle. 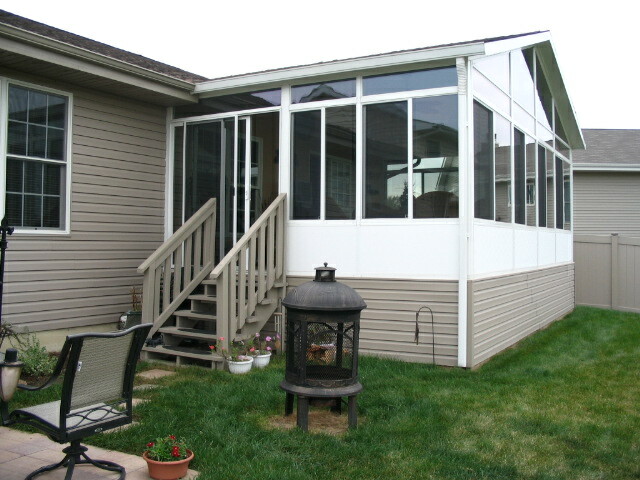 A sunroom can be built by just enclosing glass walls under an existing roof. This space is very inexpensive because you already have a majority of the critical components (roof, floor & inner walls). Just two or three glassed walls and you have a beautiful new living space! A kit from Four Seasons Sunrooms is ideal because it is “maintenance free,” a favorite feature of busy homeowners. Four Seasons Sunrooms’ CONSERVAGLASS SELECT™ with Stay-Clean Technology was designed specifically for the extreme demands of a room built entirely of glass. (Find out more about our advanced glass technology.) Our roof systems come in gable or lean-to styles. This popular version of a sunroom with full blown all glass is a long-time standard. These all-glass models come in curved or straight eve designs. When Energy Check, LLC started in the sunroom industry, this was the only sunroom choice for our clients. 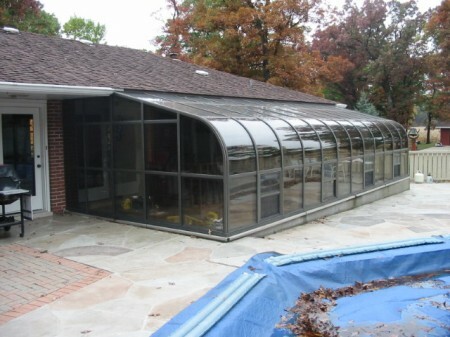 Now we have a full line of sunroom designs from which to choose.